Students from Palestine’s Birzeit University emerged as the winners of the eighth cycle of the Ripples of Happiness program organized by The Coca-Cola Foundation and INJAZ Al-Arab, which saw 300+ students from 20 universities across the Middle East battle it out for their chance to win grants totaling US$22,000 to help grow their respective businesses. The first-place Palestinian winners, who were awarded $10,000, impressed the judges with their Melody of Happiness project, which will see them set up a center for teaching music to children. The second-place prize of $7,000 was bagged by students from Canadian University in Dubai for their project called Efhamni (Arabic for “understand me”), which aims to develop a smart app facilitating communication with those with hearing challenges. 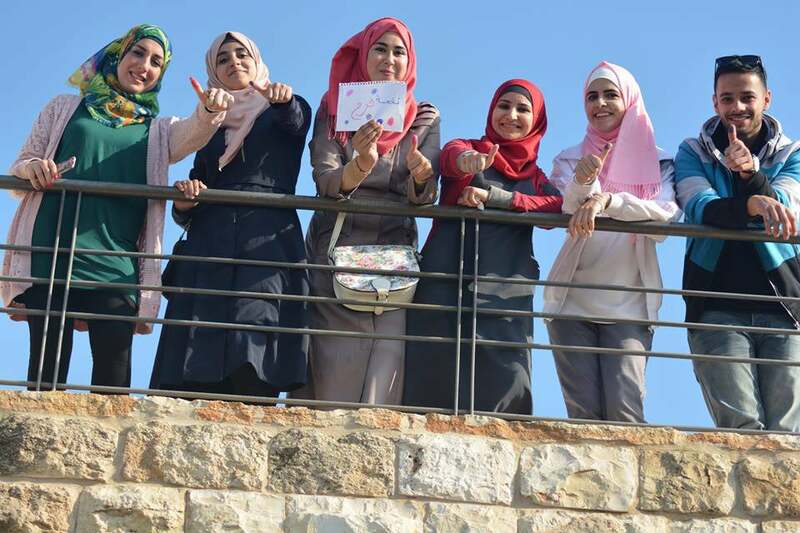 Students from the Palestine Polytechnic University came in third for their Autism Silent Energy project, which will use the third-place prize of $5,000 to create awareness of autism in Palestine. Melody of Happiness team. Image credit: Ripples of Happiness. Launched in 2012, Ripples of Happiness aims to provide the student community in the MENA with entrepreneurial skills as a means to counter youth unemployment in the region, with a specific focus on addressing social challenges in their respective regions. The program claims to have impacted 2,665 students and 157 volunteers and clocked 66,625 community service hours since its inception. The teams for this year’s edition of the event hailed from the UAE, Saudi Arabia, Bahrain, Lebanon, Jordan and Palestine, with all of them participating in a six-week program made up of training courses and workshops on business management, financial literacy, and workplace readiness, among other topics.